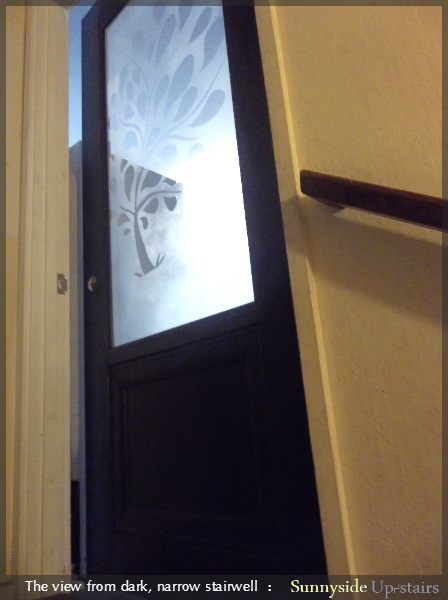 It is partly because I built it with my hands that I love our entry door. Having day dreamed of the design sketched on paper and now seeing it every day is surreal. We do so appreciate it. The best part is, it was not difficult to do. You can build your own front entry door too! 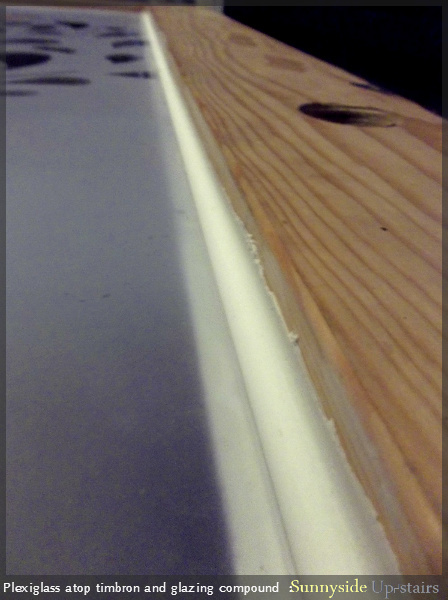 After filling the holes, sanding, glazing and caulking the plexiglass in place, we painted our door deep purple with the gallon of leftover paint we used to paint our small end tables, our painted canvas floorcloth, and rear media console. 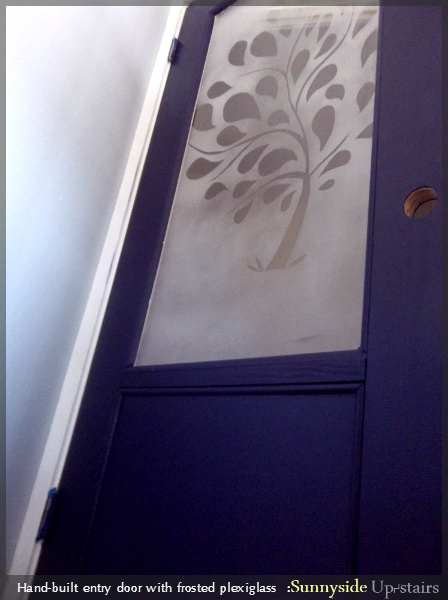 Before the door could be complete, I glazed the plexiglass to the timbron I used as stops, added glazier points and more trim to keep the glass in place and waited 3 days, per the instructions on the glazing compound, before it was time to caulk and paint. 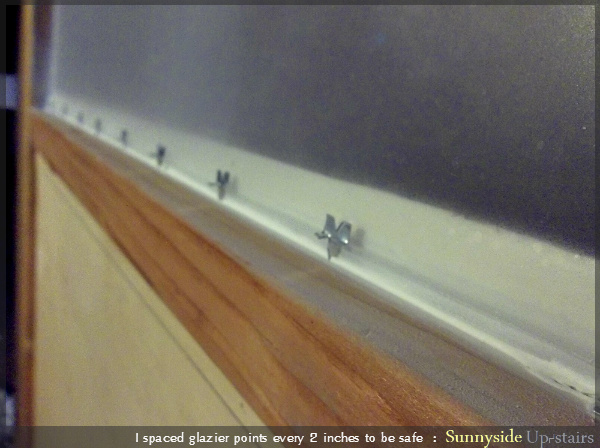 $97 (rounded up) for plexiglass, glazing supplies, and trim. Hitachi cordless drill, Ryobi miter saw, Skil circular saw, Kreg Jig Jr., 2 1/2" pocket hole screws, putty knife, red sharpie, latex caulking, Royal Purple semi-gloss, Olympic paint (tools and supplies already owned). $148 (rounded up) to build our entry way door. 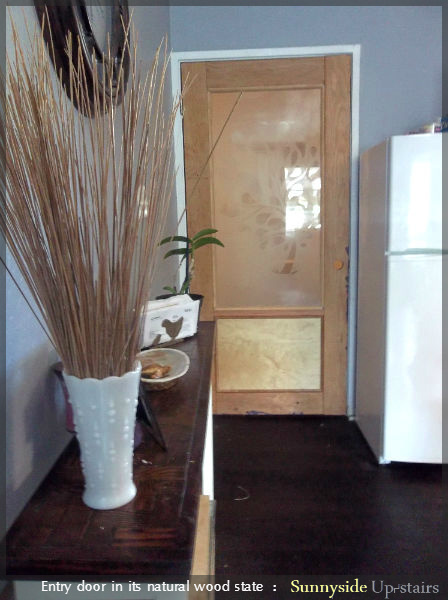 By reusing wood and trim as available, the bulk of the cost came from the Plexiglass ($70) and the door hardware ($51). I had 3 days to look at our door with the mixed natural woods showing, and while I liked the look, the bottom panel bothered me. 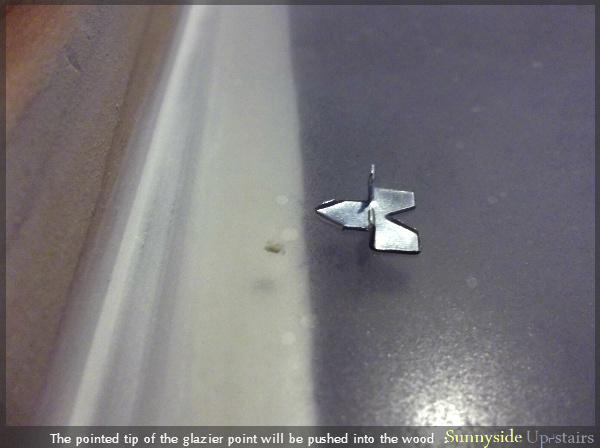 After talking with several people about my options, it became clear that it might be safest to caulk and paint slightly onto the plexiglass, per glazing directions, but I did get to enjoy the way the natural wood coordinated with the woods in our kitchen. 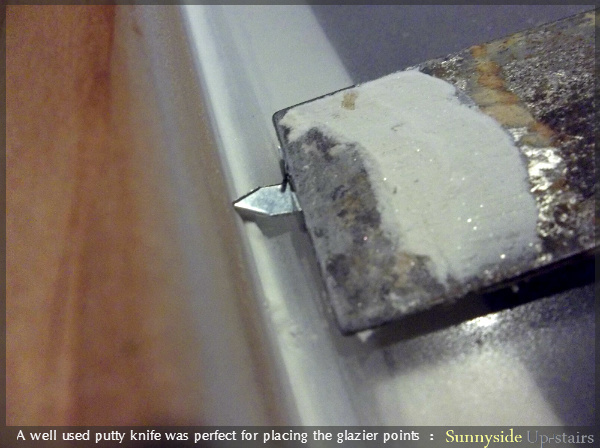 Last step, take a few minutes to install hardware after caulking and paint are truly cured. That is really awesome. I have never thought about actually building a door. It turned out great, I love the color and the design on the glass. Fantastic! This is absolutely beautiful, love the color, the design on the glass, and the way you did the trims. It looks like a thousand dollar door! Bravo! Thank you, Joanne. :) I am so glad you like it. I'm not proud of the plexiglass spray paint job (I've never spray painted anything and felt good about it), but I am flattered that you said it looks like an expensive door. I can't imagine paying $1,000 for a door, but I can imagine all the other furniture I could make with that amount of money! Beautifully done Yvonne and I like it painted. Thank you for linking up at Shabbilicious Friday. Thank you, Kerryanne, for hosting your party! It's a job well done for you, Yvonne! I checked out your two other posts regarding this door project, and I'm glad that you're almost through with it. The only thing you need is the door knob and it will all be complete! Well, are you done with it already? I like the color, by the way. Was it navy blue? 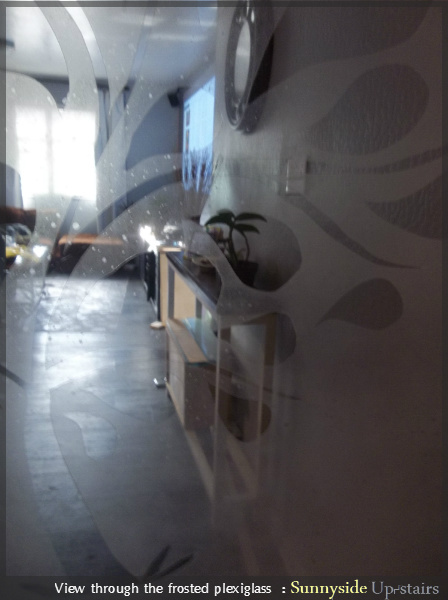 It matched well with the frosted glass. Thank you, Mary. Yes, the door is complete and in working order! My husband upgraded our door knob to a more expensive entry style one. I will still need to bore a new hole for the dead bolt included and I'll take an updated photo at the end of the month when I'm moving on from kitchen projects. :) The color was a Royal Purple. Thanks for sharing details by details on building your entry door! This serves as an inspiration and a preview of the cost and materials needed for a door project. I already saw the outcome of your hard work! Congrats for a job well done, Yvonne! What a nice outcome! How much the total cost you've spend for your new door? 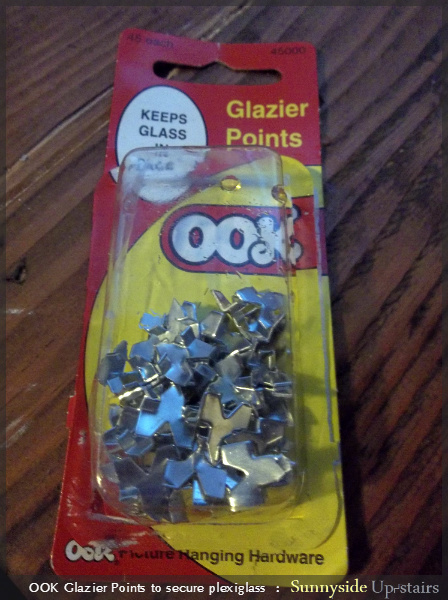 With hardware and acrylic, the total cost was about $150. :) Thank you for your question! I really like how that frosted plexiglass turned out. I was wondering at first why you had purple doors rather than going for contrast with the light walls, but then I saw the walls inside the room. Taking that into account, the dark purple door is a nice fit. Have a good one! I am glad you like how it turned out, Leah. 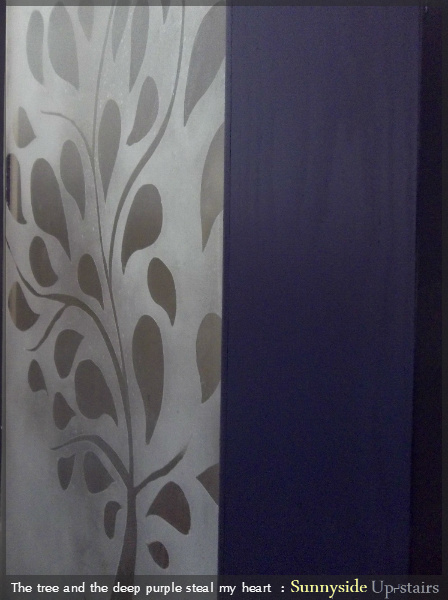 The Royal Indigo color grew on me quickly; otherwise, it wouldn't have been my first choice. :) Thank you so much for your comment as I love having an open conversation about improving our spaces. 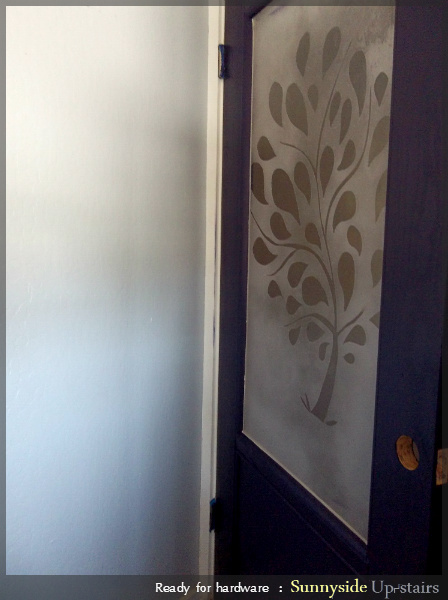 Just discovered your site and I love it!and What a beautiful door. It is so elegant, I love it!